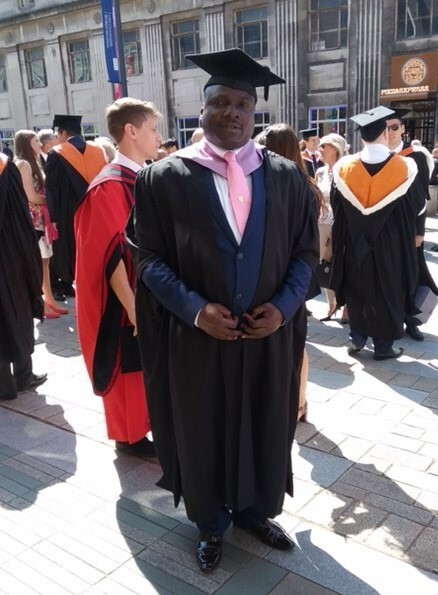 We’d all like to say congratulations to Joel Awe, a registered nurse here at Riversway Nursing Home, after he graduated from a course taken through the University of Liverpool. Joel joined Riversway in October 2016, starting as one of our ‘bank’ of staff, and now he works full time as the senior nurse for the night team. He successfully completed Master of Public Health qualification and graduated earlier this year in a special ceremony. Well done Joel from all of us here at Riversway. A team from Riversway Nursing Home took part in the local Memory Walk for the Alzheimer’s Society in September. 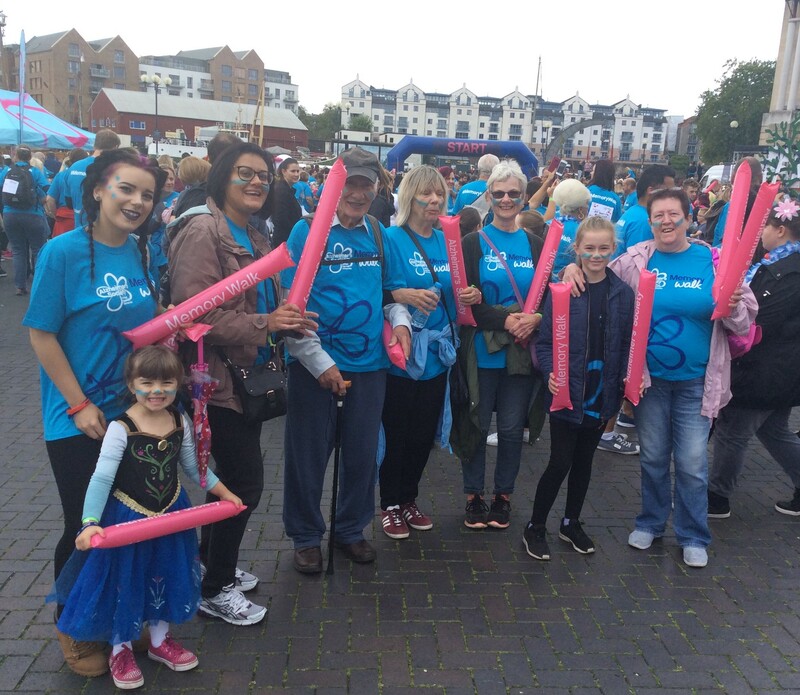 The group of staff, family and friends including Ian, our 84 year old volunteer who is young at heart, took part in the 5km walk around Bristol Docks, joining thousands of people dedicated to raising awareness of dementia. 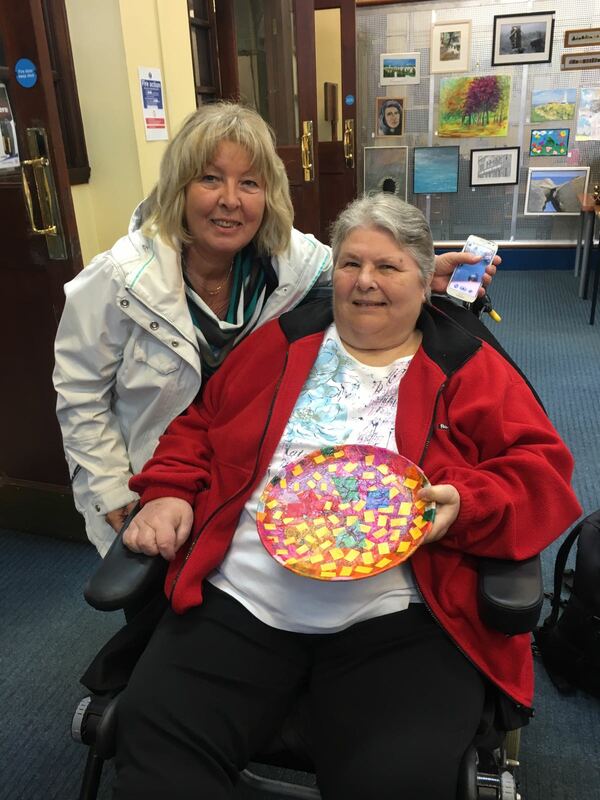 The group joined in the fun by wearing blue glitter, and thoroughly enjoyed the event which included music, dance and swapping stories and experiences. Also thank you to Also Mary's family for coming along to cheer us on. With the hot summer days now behind us, we decided to bring the beach to Riversway. 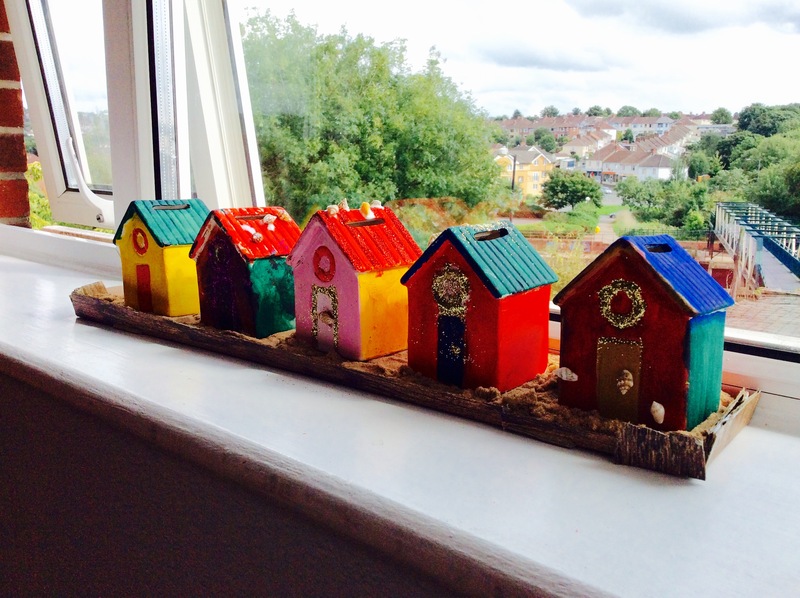 A group of residents spent time painting beach huts and creating a little beach scene near a window. It was a lovely activity and lots of memories were brought back of beaches and experiences from their younger days. Riversway’s Forget Me Not Café will next open its doors on September 29, and we’ve already begun getting ready for the big day. 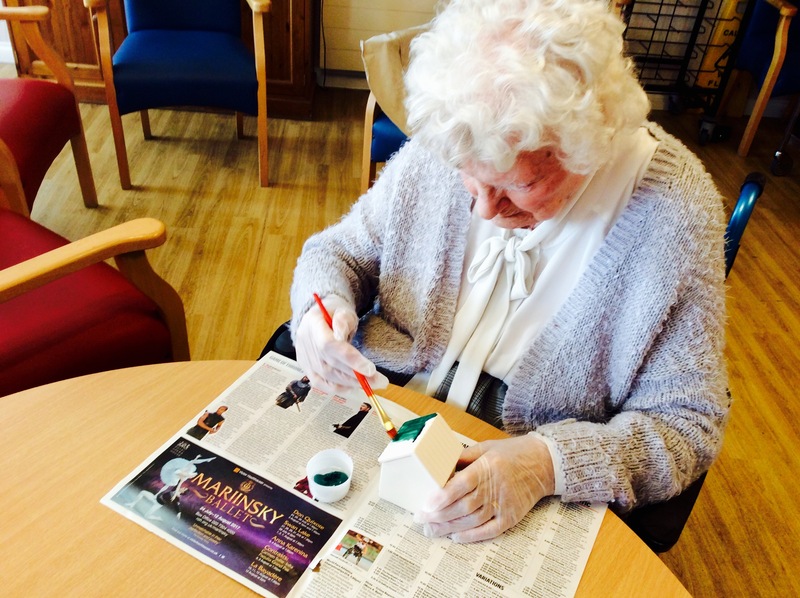 Residents had the inspiration of decorating paper teapots and cupcakes to give our café a theme, as a cosy place to meet up and enjoy a brew. 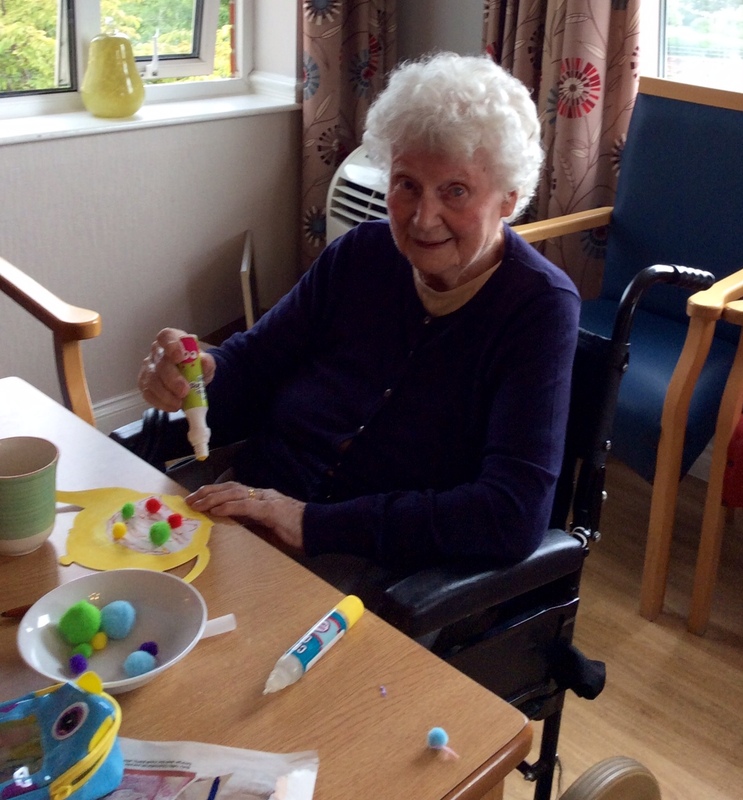 During one of our occupational activities we also spent time folding napkins to give them attractive shapes – residents Leena, Betty and Dorothy folded many, many napkins to help us. The café will run from 10.30am to 12noon. For more information ask a member of Riversway’s staff. 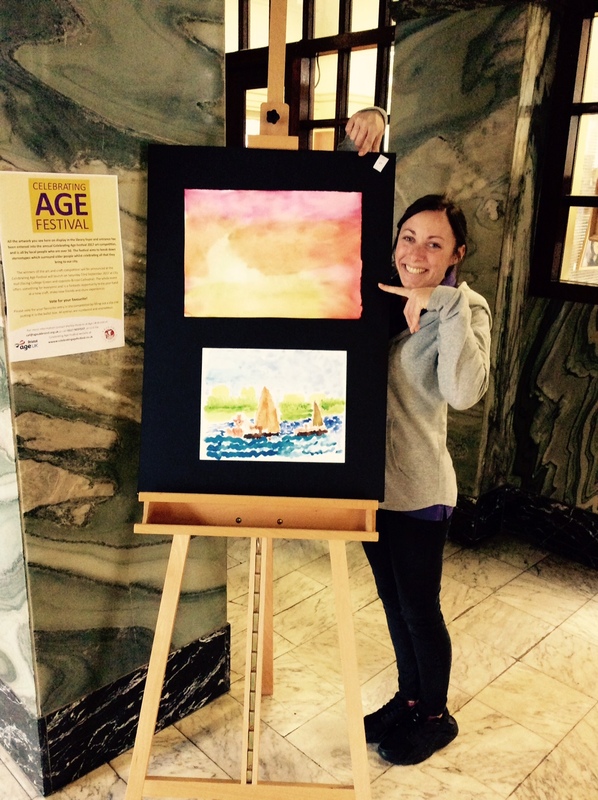 Artwork by some of our residents has been on display at Bristol Central Library as part of a celebration of age. 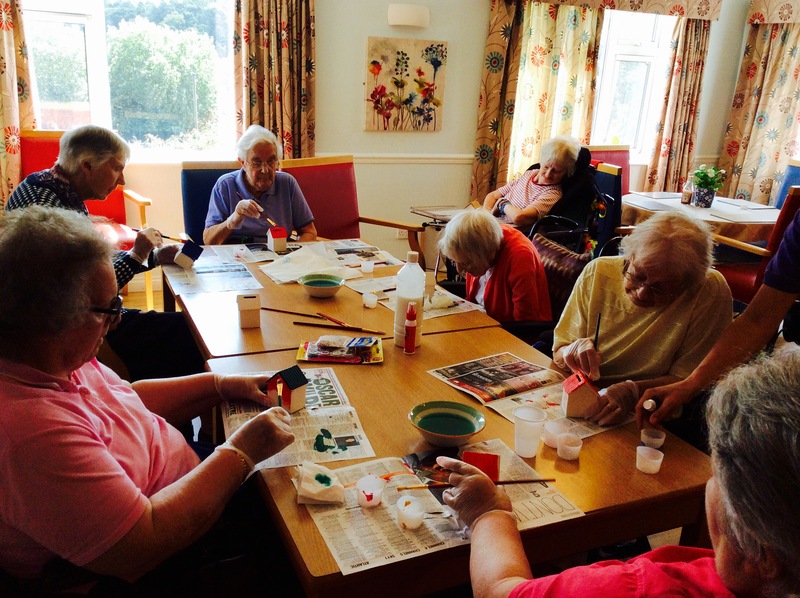 The event, run by Age UK in Bristol and Bristol City Council, encouraged people over 50 to submit artwork which would be displayed in the library foyer and entrance in a bid to break down stereotypes surrounding older people. Visitors to the library were encouraged to pick their favourites ahead of a presentation at City Hall. 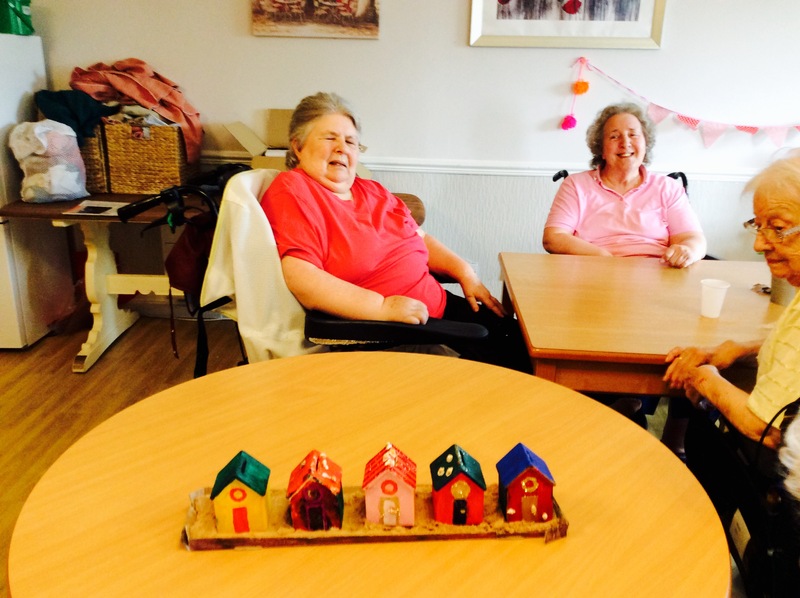 Artwork by Riversway’s residents Marianne and Sheila was included in the display, and while they didn’t win, it was great to get involved. We’d like to say a special thanks to Riversway’s own artist, Roland, who helped the creative pair in their efforts, and to all the local artists and students that have worked with us over the years, helping to inspire and support creativity. We also like to thank Marina and Joachin from Germany for sending through their photos of their visit to the library with Marianne to view her art work. Everyone is looking forward to seeing the artwork hanging on Riversway’s walls now the competition is over.